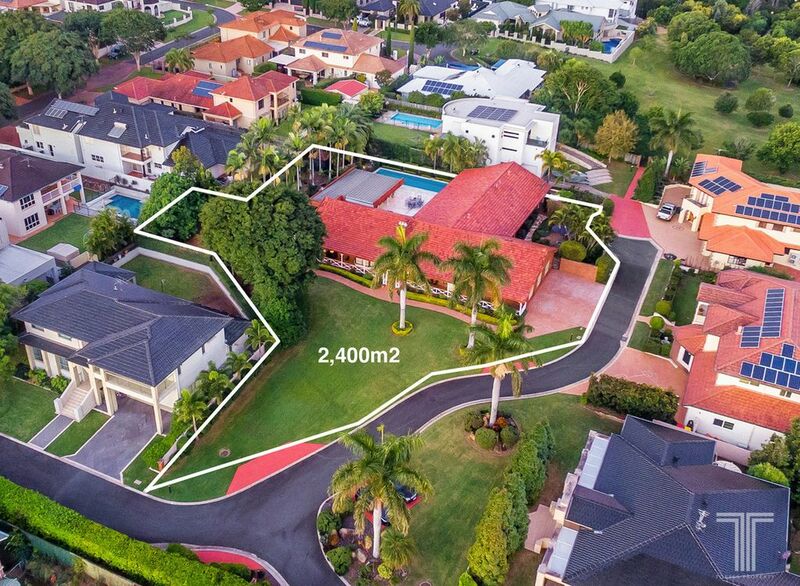 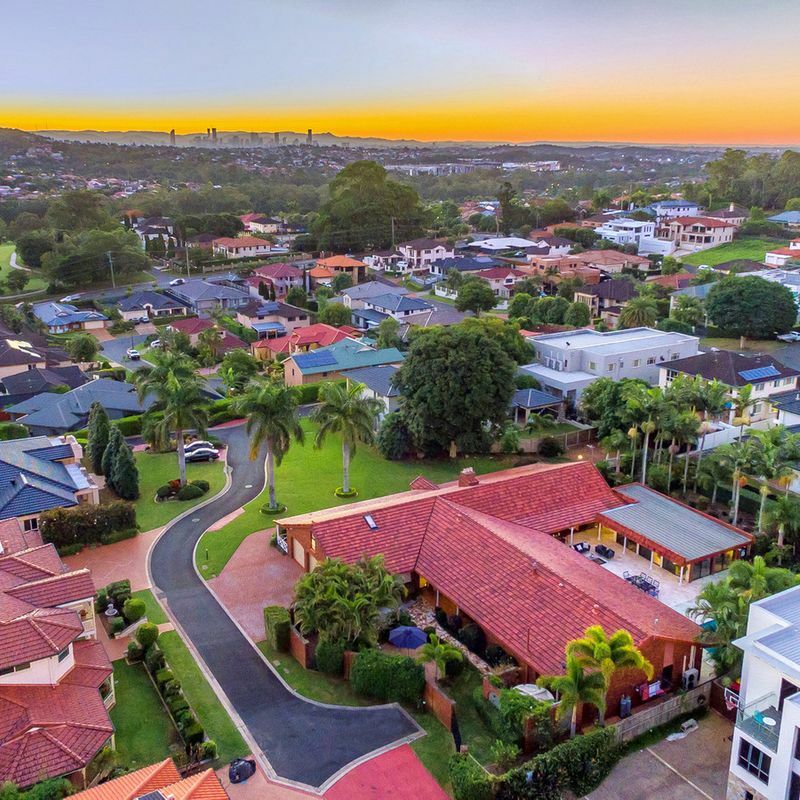 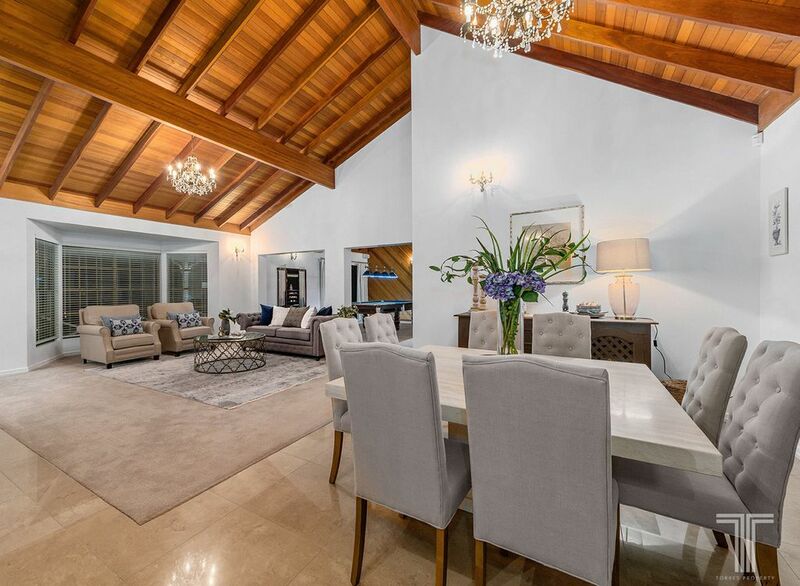 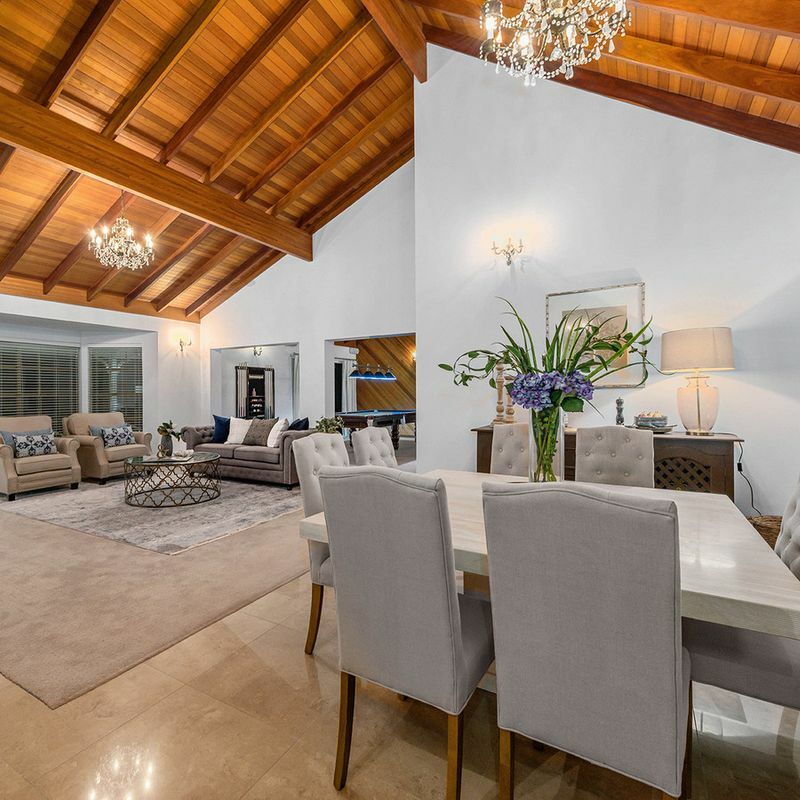 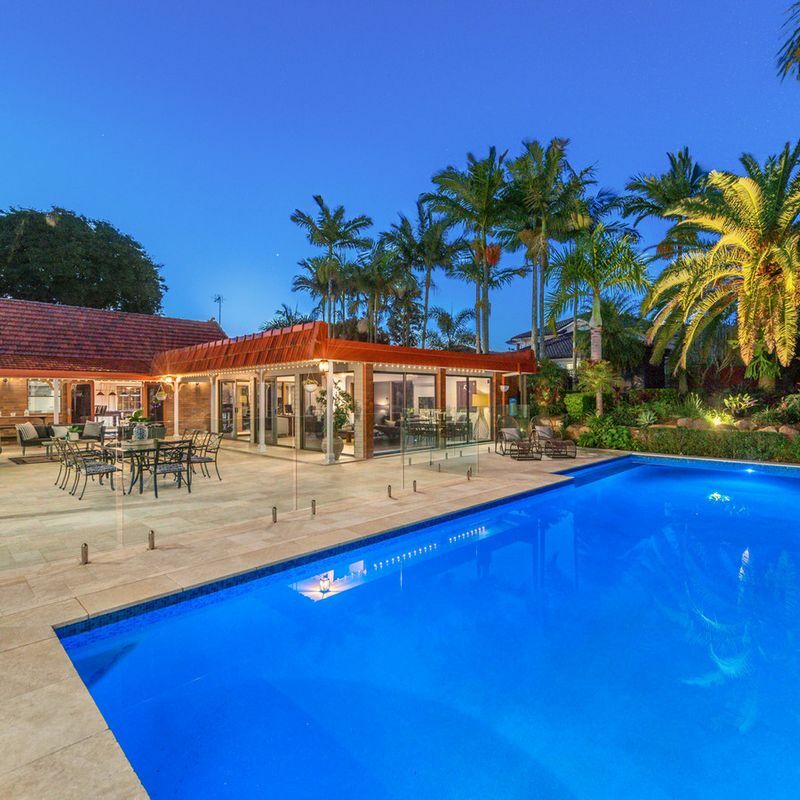 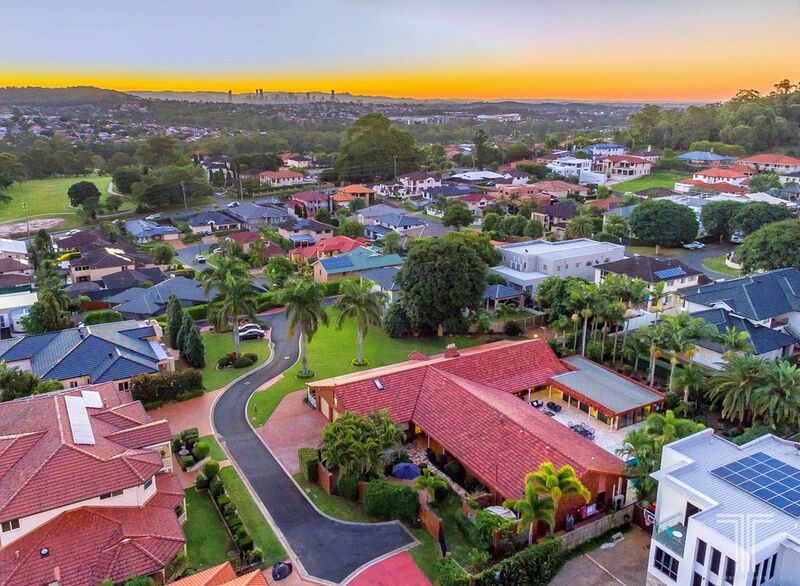 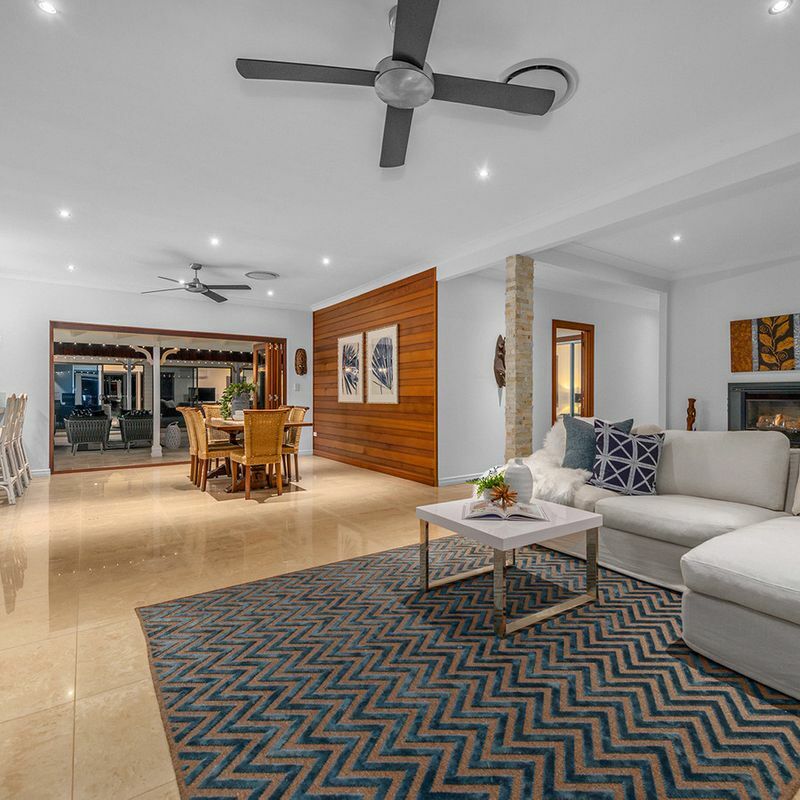 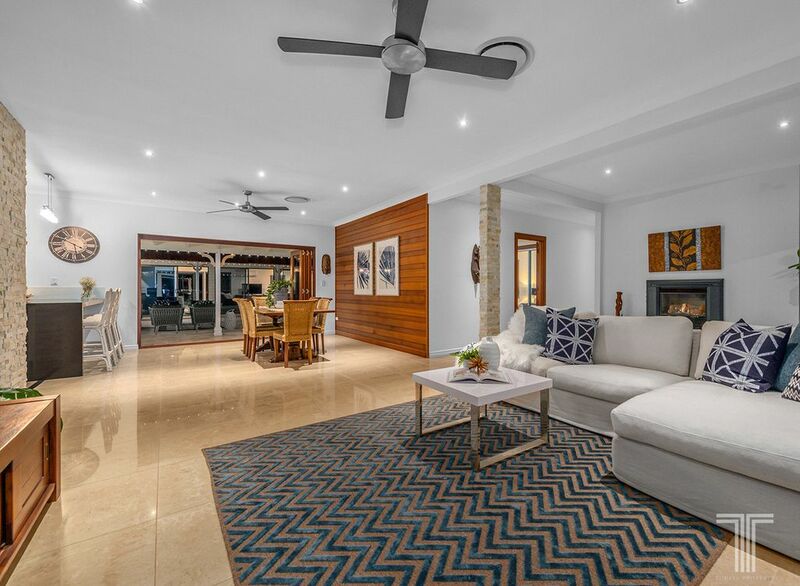 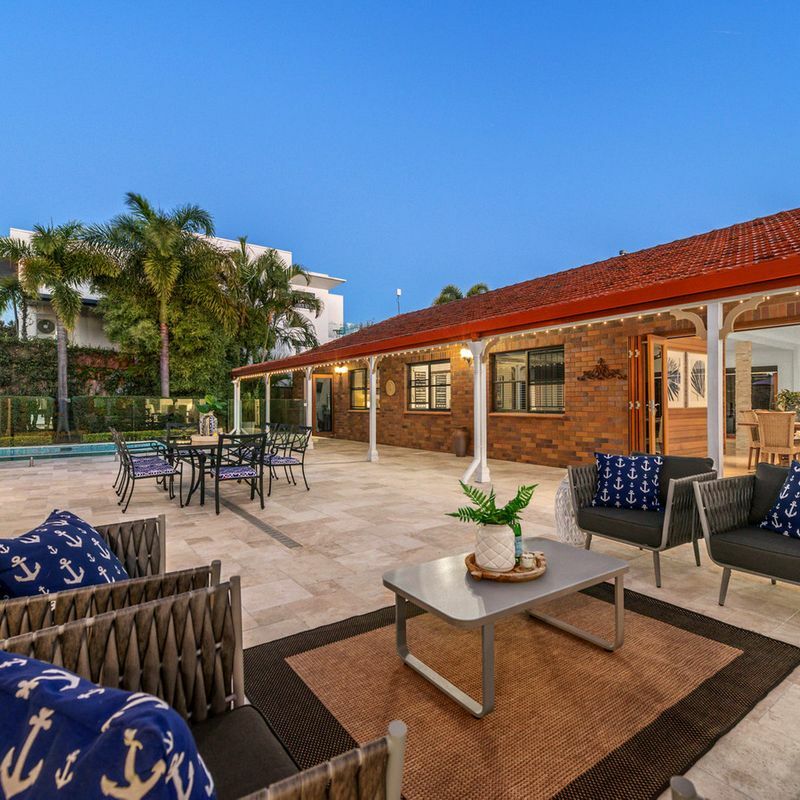 Set in a private and secure gated community, this spectacular home on an expansive 2,400m2 has been designed to cater for dual living potential with an amazing pool house/home office. 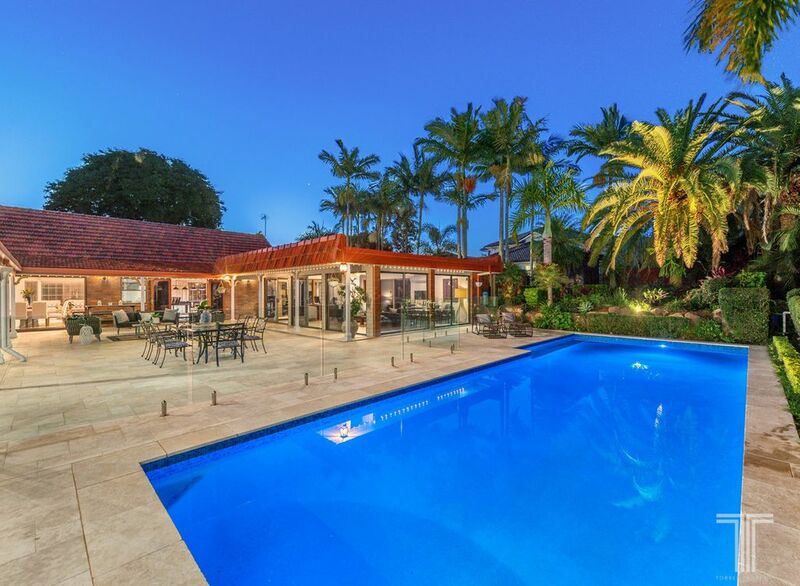 Presenting a wealth of indoor and outdoor living spaces with exceptional finishes, this home will impress with its grand scale, dual offices and sparkling in-ground pool. 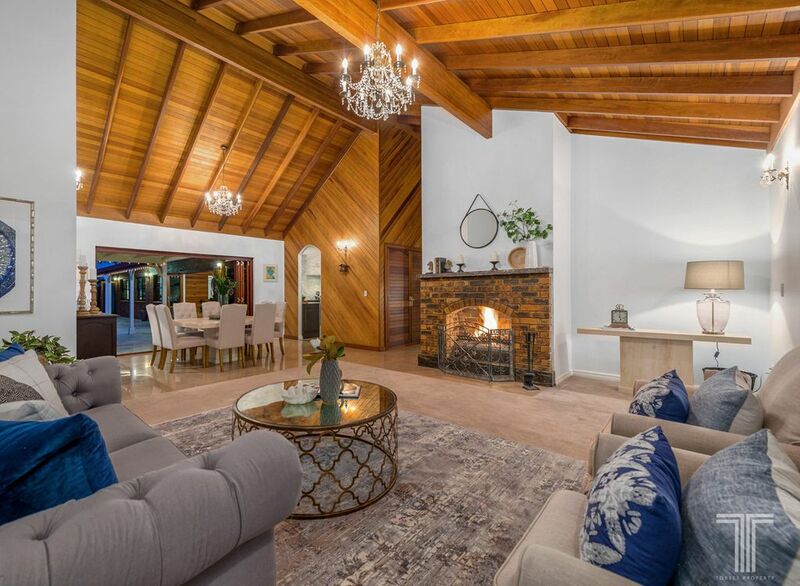 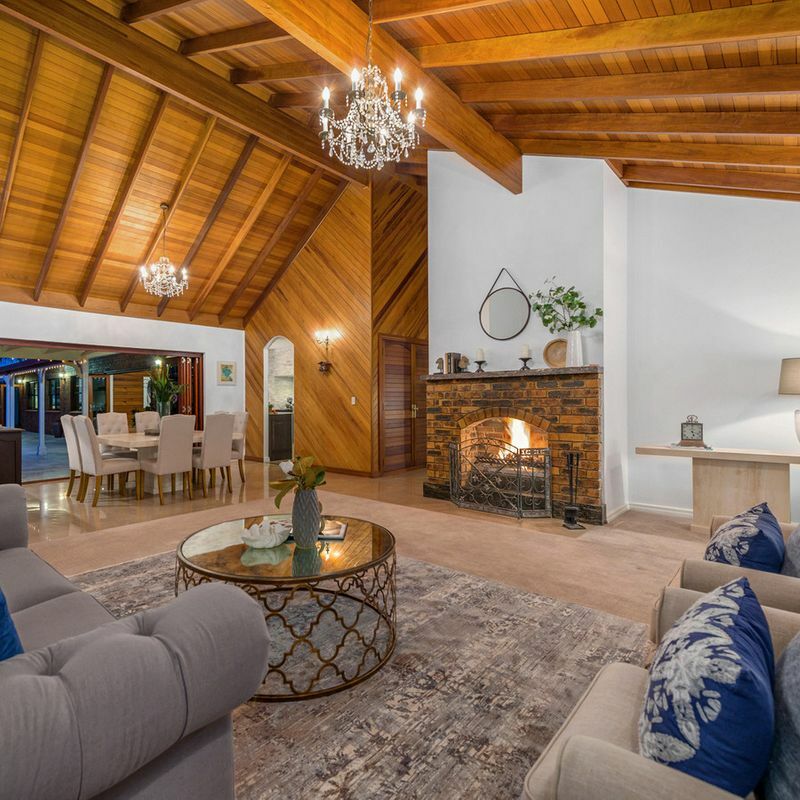 Truly mesmerising with soaring, exposed beam ceilings, chandeliers and romantic fireplace, the formal lounge and dining area is destined for entertaining. 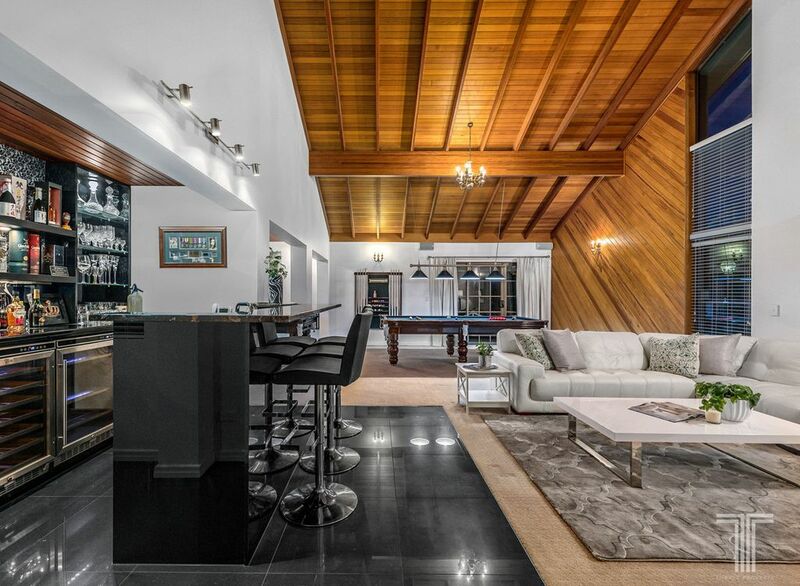 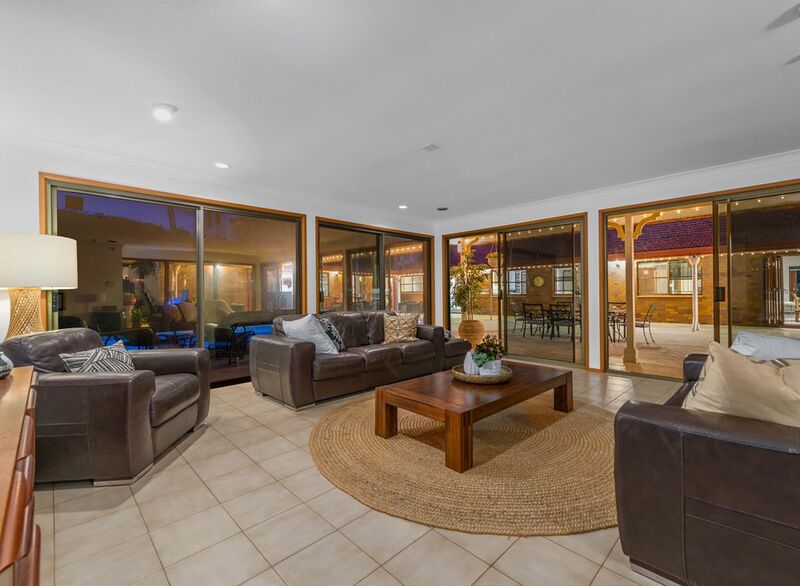 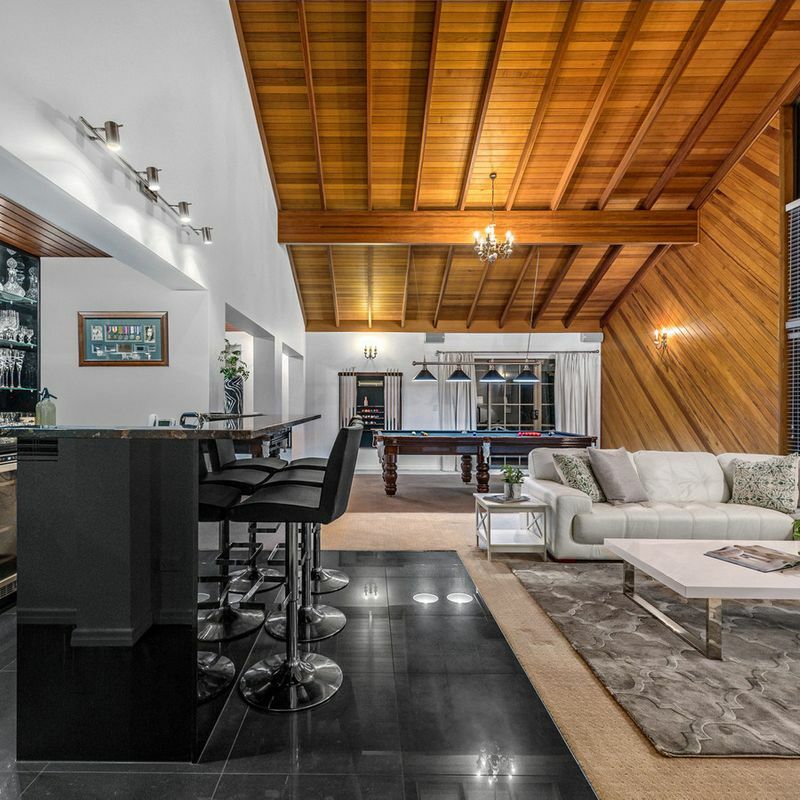 Exquisitely presented and accompanying the games room and wet bar with granite benchtops, enjoy hosting guests here then move with ease via bi-fold doors directly onto the alfresco patio. 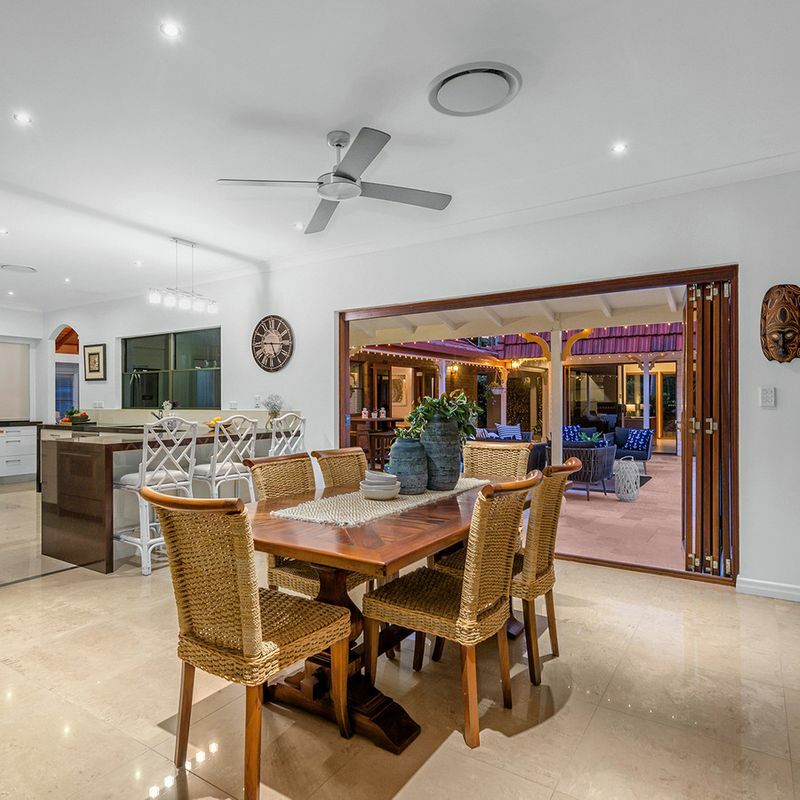 Perfect for more casual affairs, the informal lounge and dining space adjoins the modern kitchen and extends out to the patio via bi-fold doors creating seamless indoor/outdoor integration. 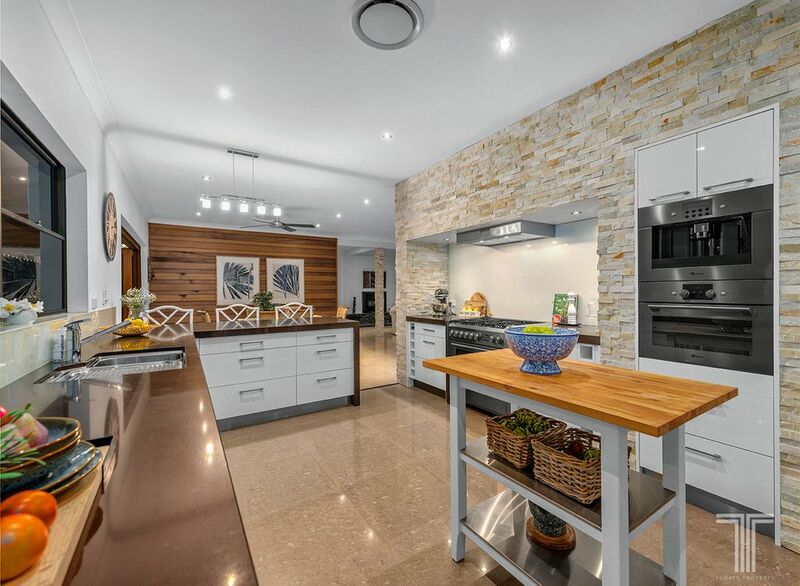 Superbly appointed and elegantly finished, the gourmet kitchen will be a delight to cook in. 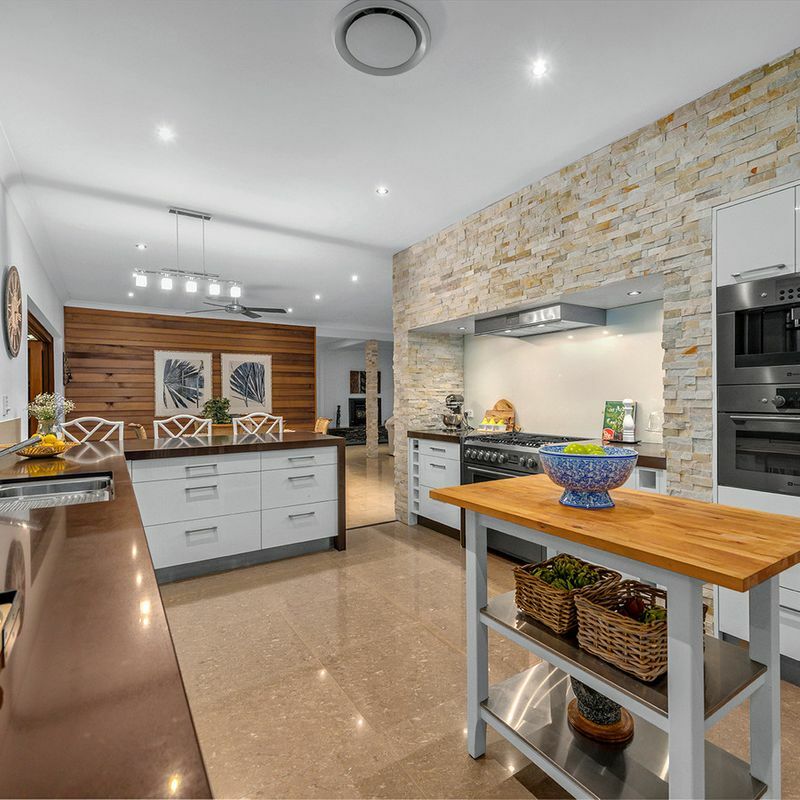 Adorned with 6cm Caesarstone benchtops, integrated coffee machine and microwave, ample cabinetry, stainless steel oven, 6 burner gas cooktop and walk-in pantry, no detail has been overlooked. 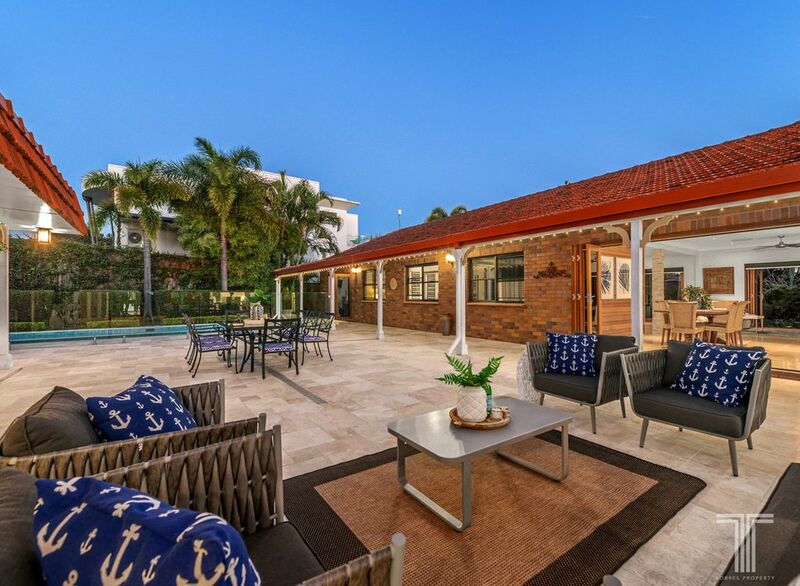 Free-flowing and partially covered, the alfresco patio has been exquisitely designed. 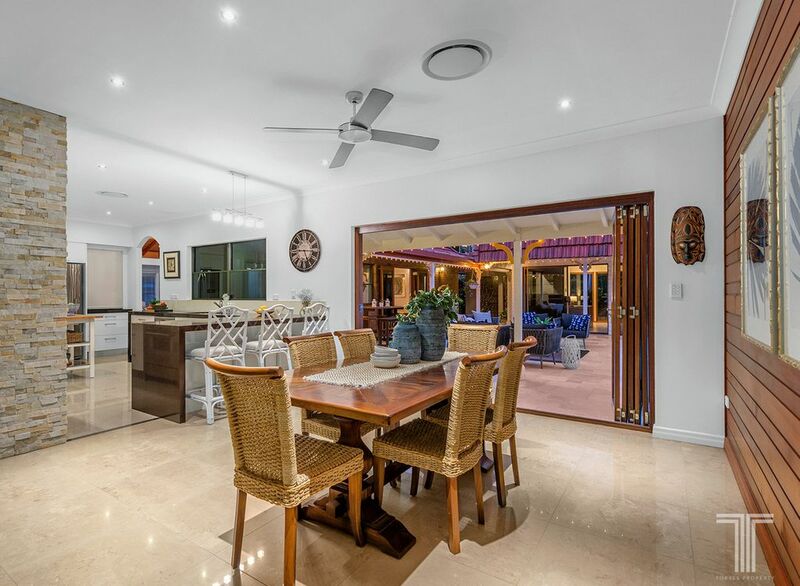 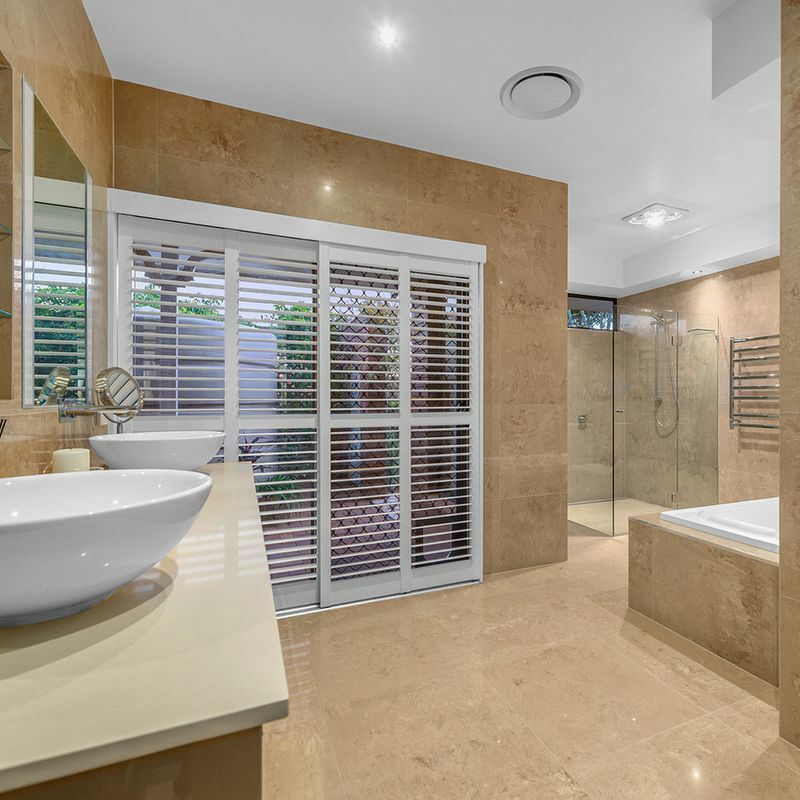 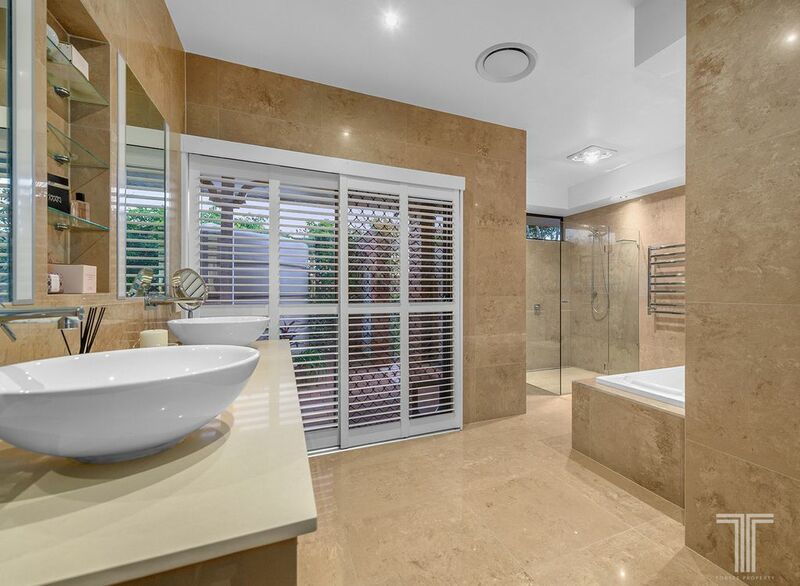 Allowing you to relax under the warming sun or stay cool undercover, this entertainer’s dream is complete with stunning outlooks over the glass framed MagnaPool. 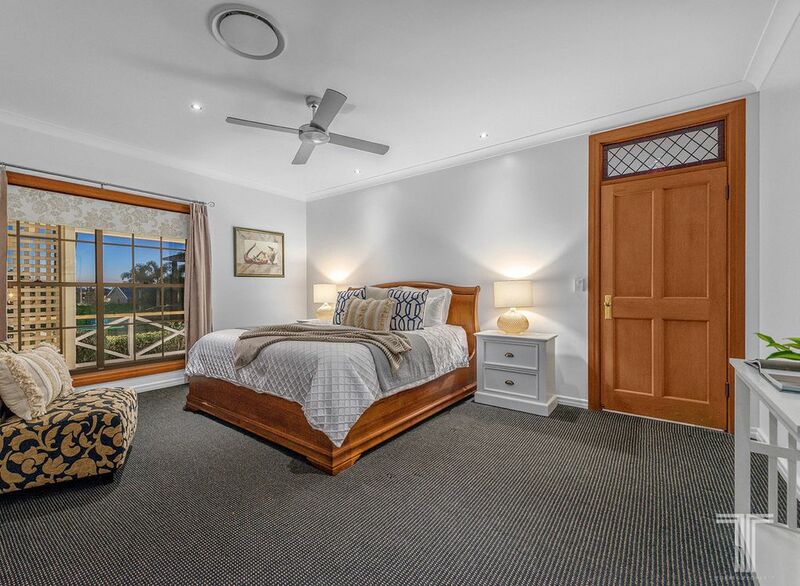 A lavish retreat, the master bedroom is sure to impress. 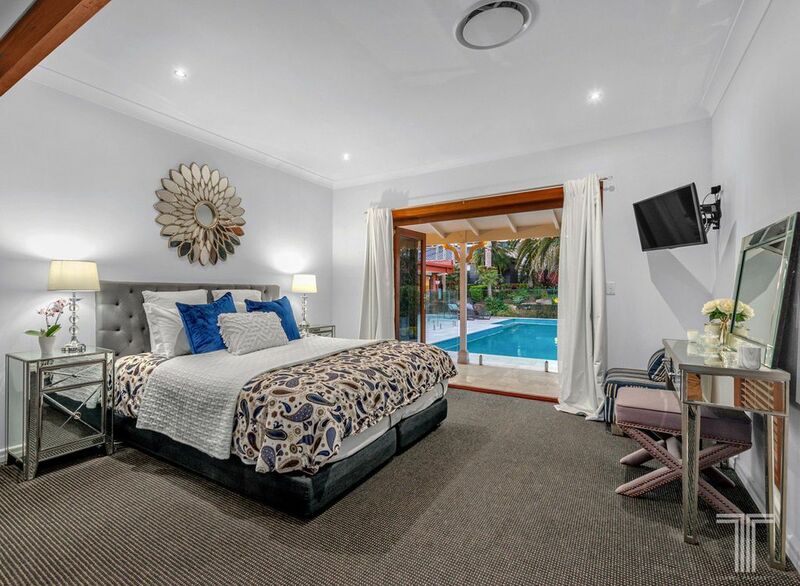 With direct access out to the patio and pool, this room also boasts a luxe ensuite with dual vanities, plantation shutters, spa bath, large shower and two walk-in robes. 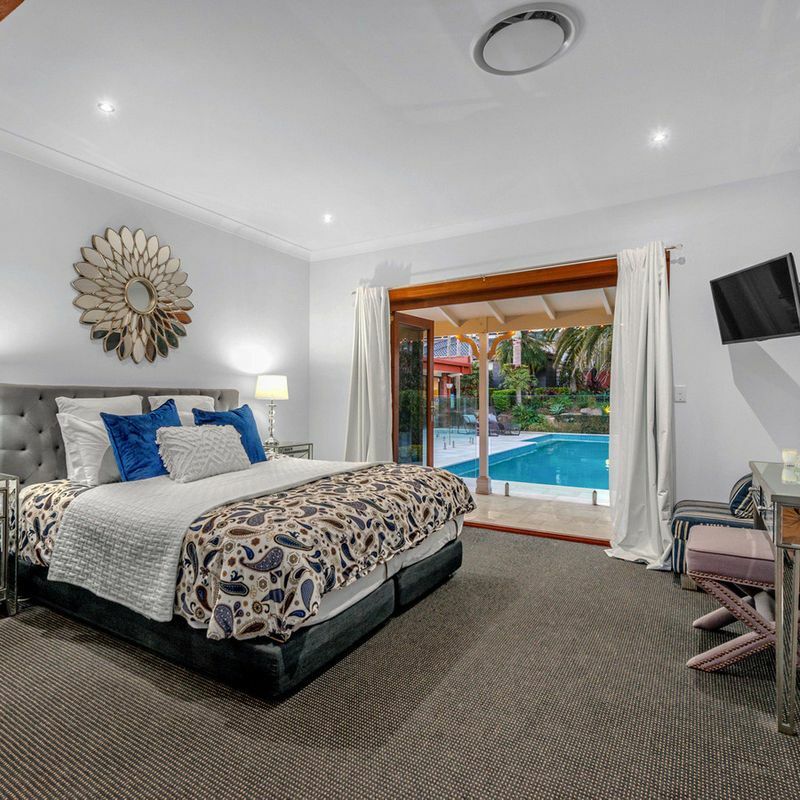 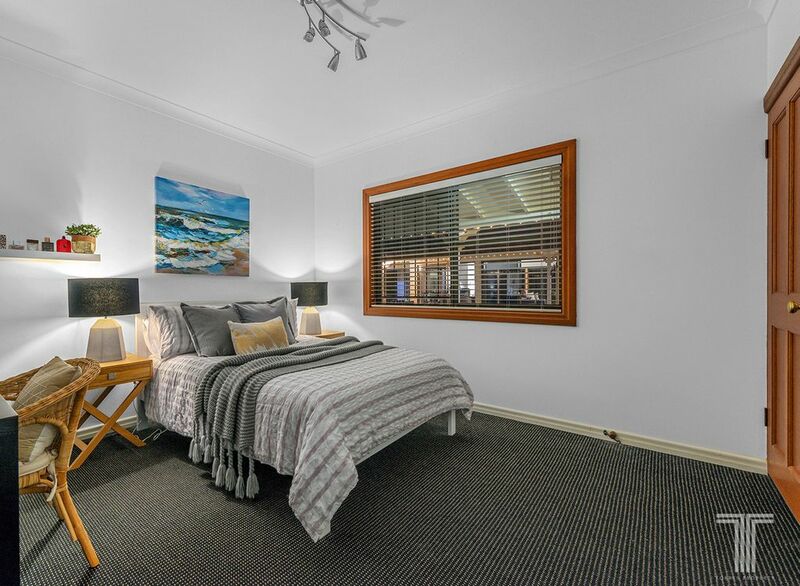 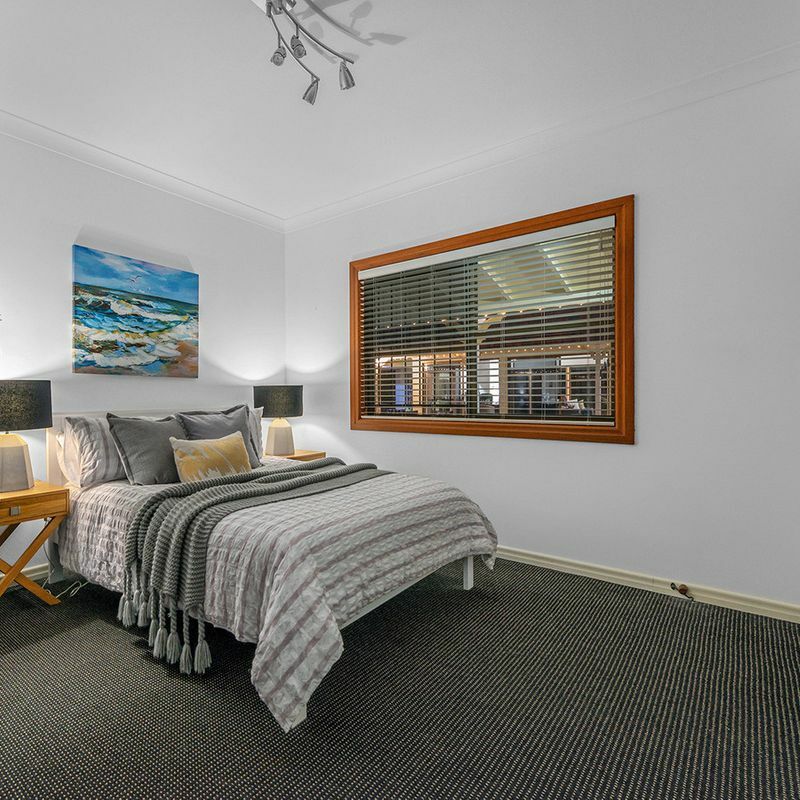 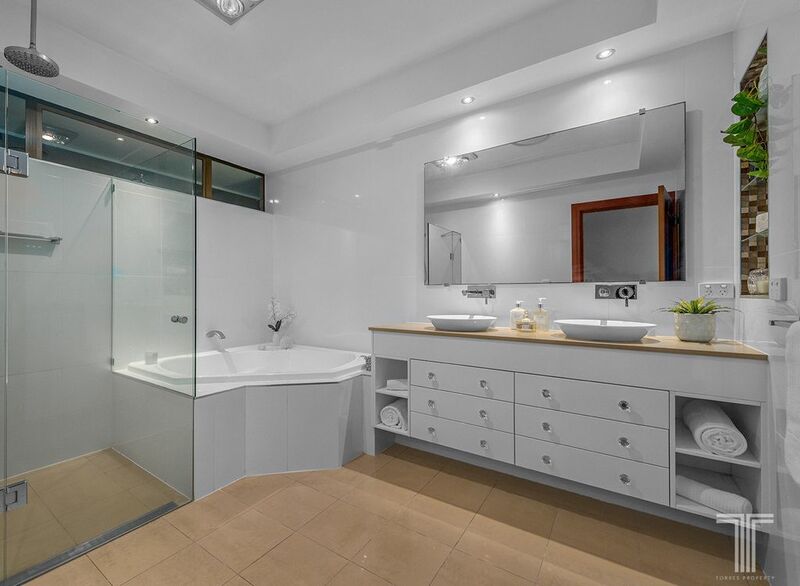 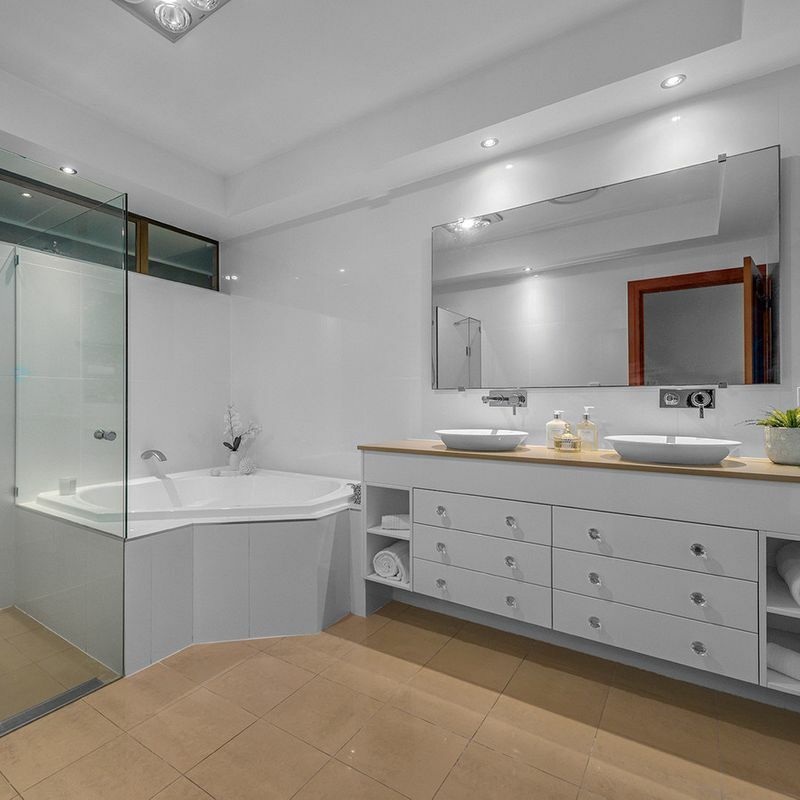 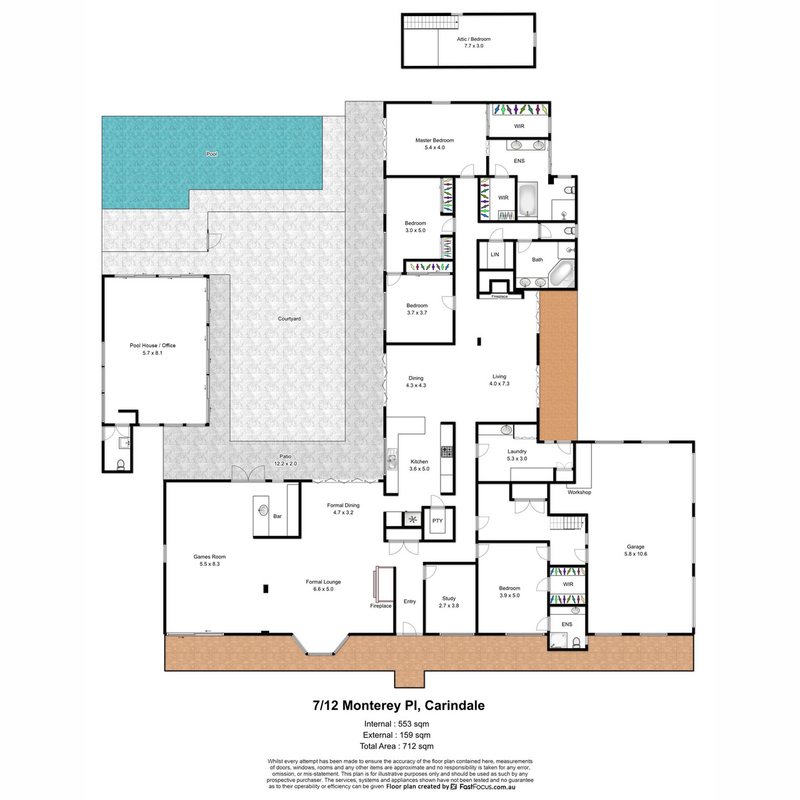 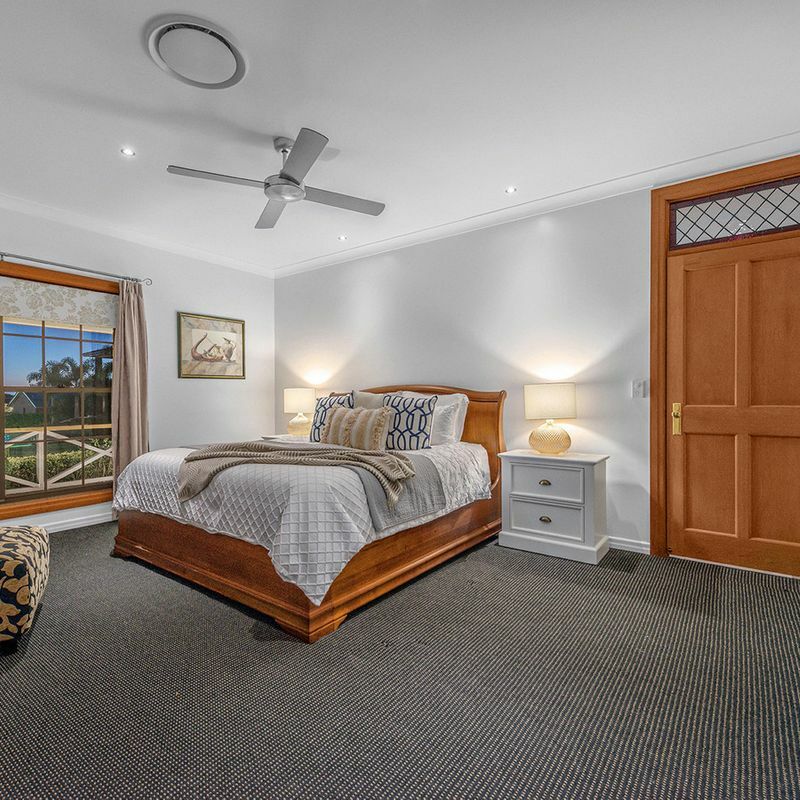 A further two bedrooms with outlooks over the pool feature built-in robes and are serviced by the main bathroom, while a fourth bedroom at the front of the home delights in a private ensuite and walk-in robe. 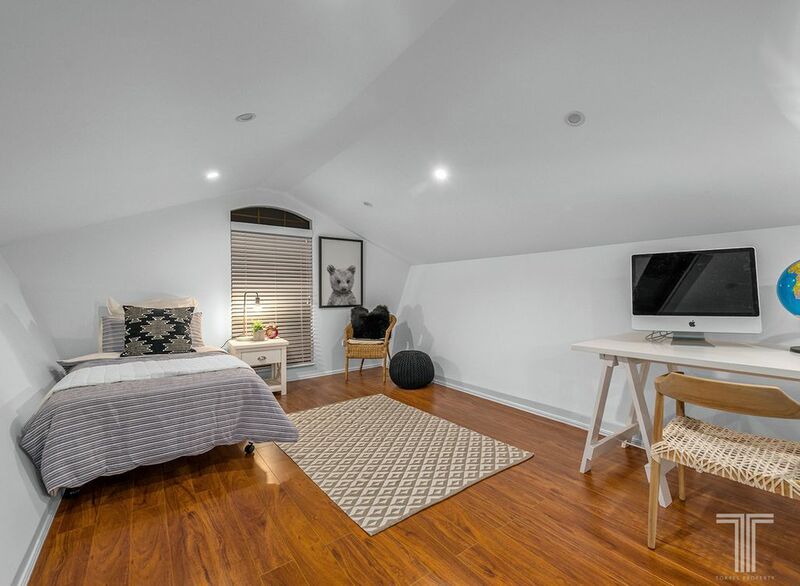 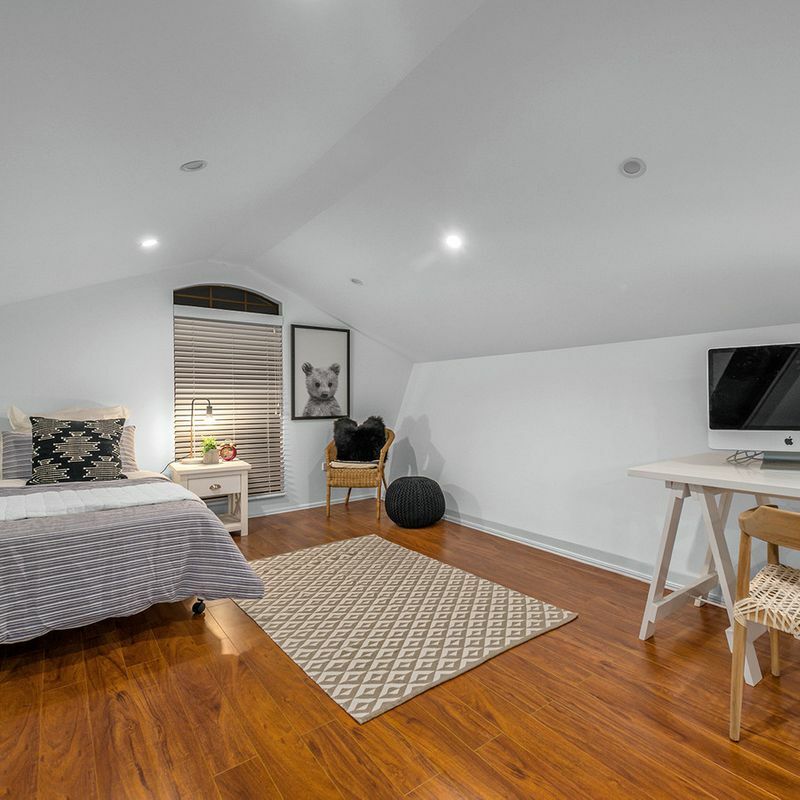 Completing the bedrooms is the fifth, attic bedroom with ample storage space. 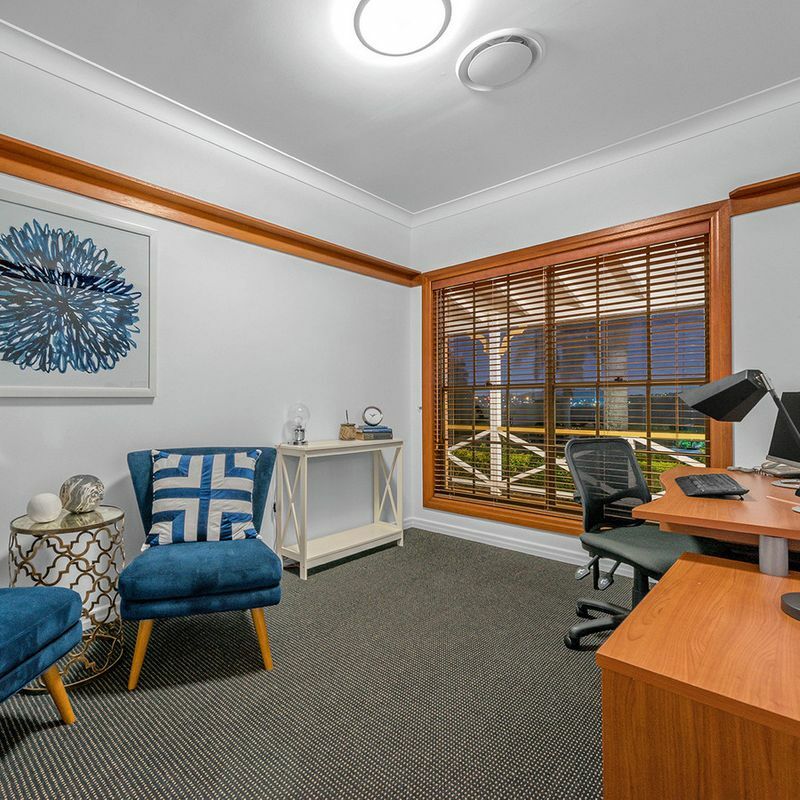 While a home office/study is positioned just off the entry, a second private office with separate entry is located on the patio and captures lovely outlooks over the pool. 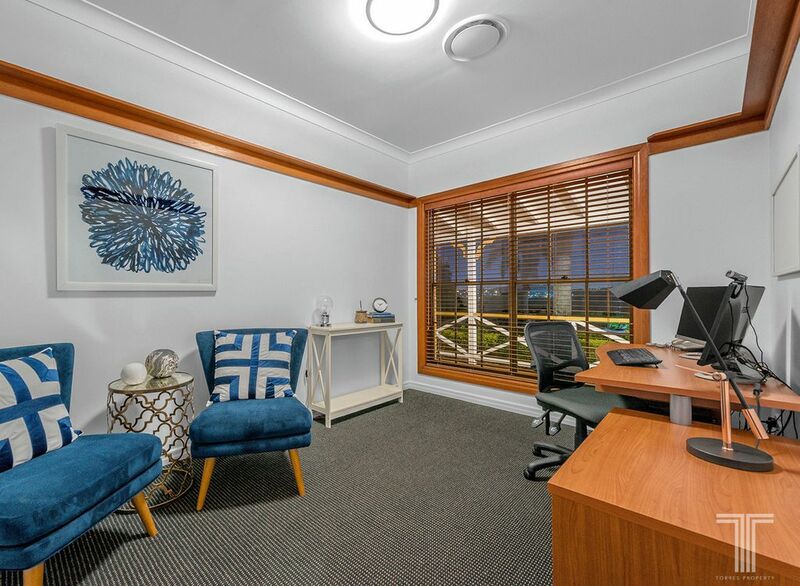 Ideal for those who work from home, this space can also be utilised for dual living potential with its split system air-conditioning and full-size bathroom. 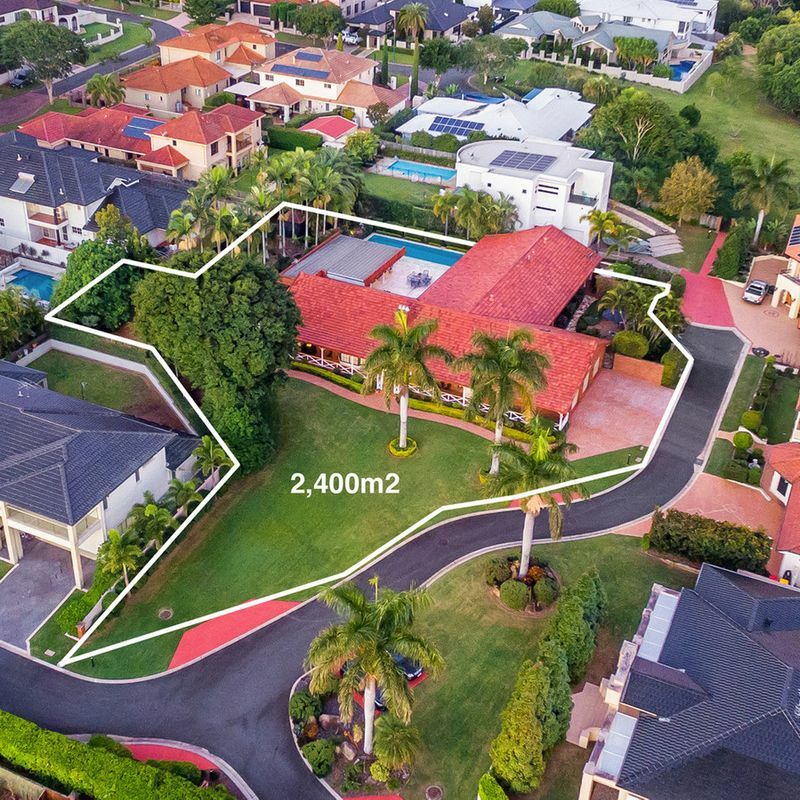 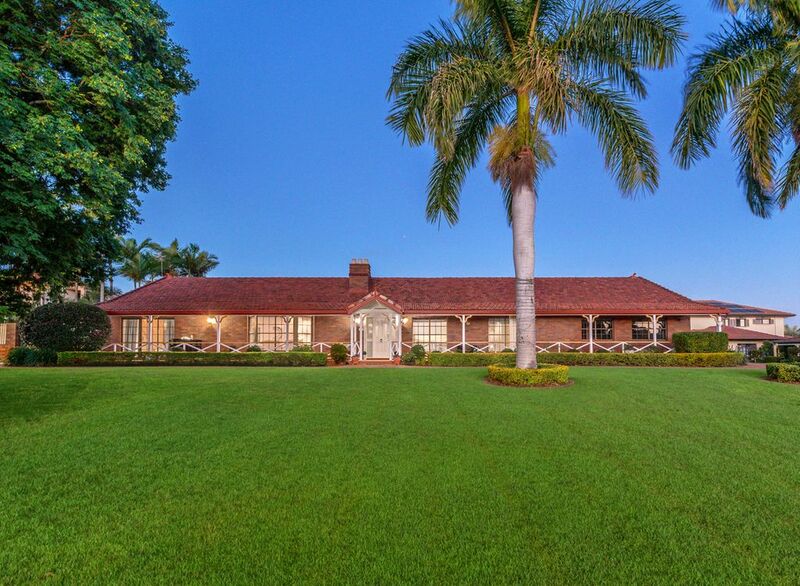 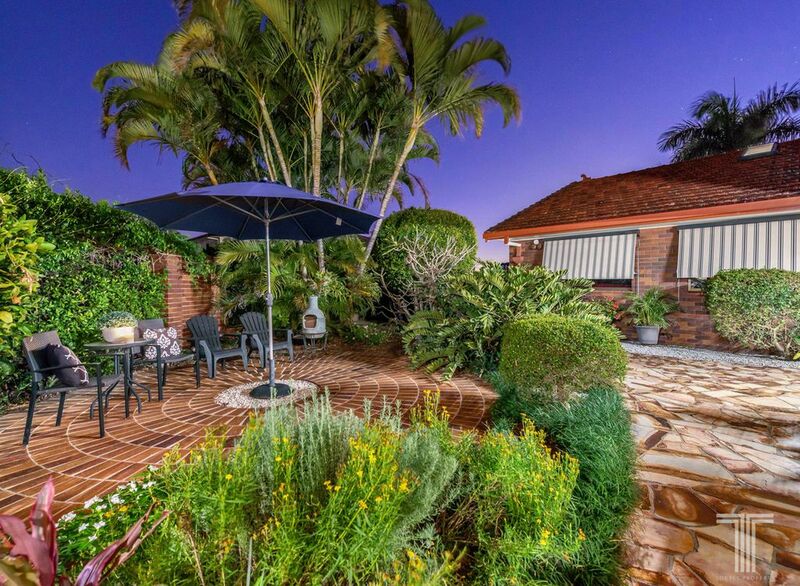 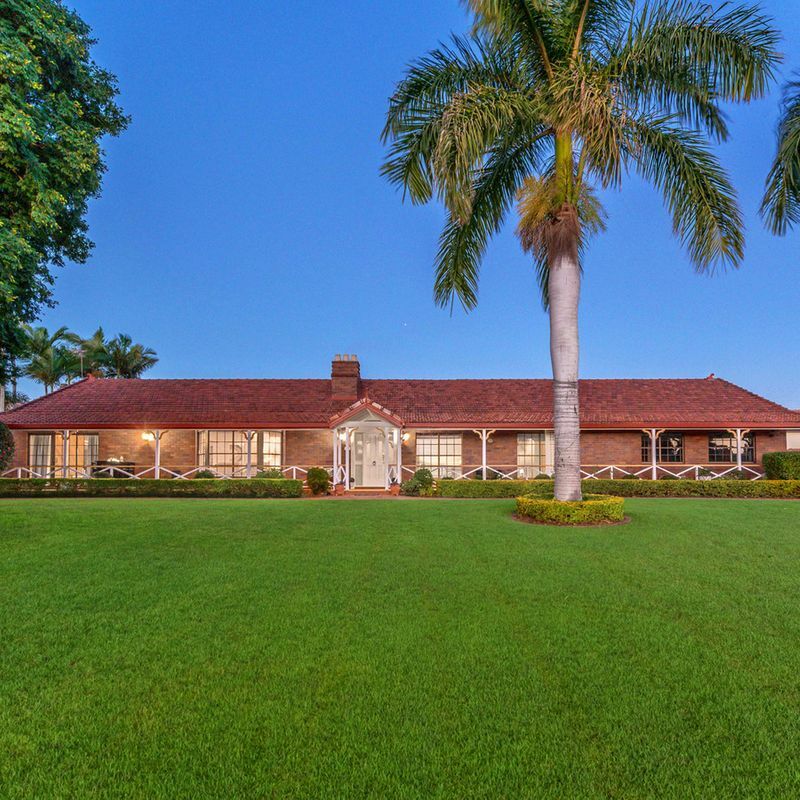 A picturesque and private position within a secure, gated community, this home is surrounded by parkland and only moments to Pacific Golf Club. 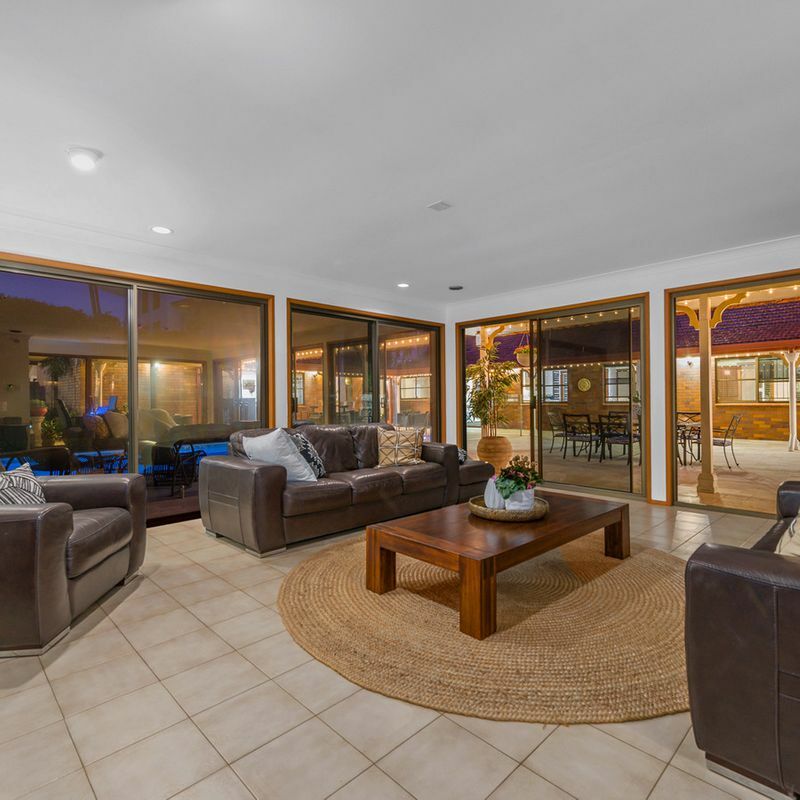 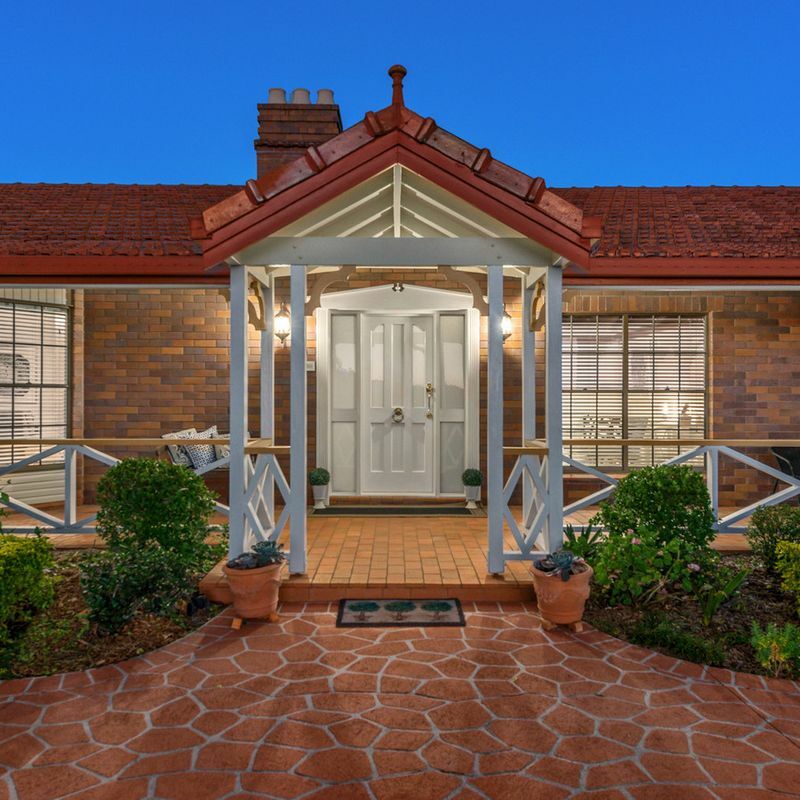 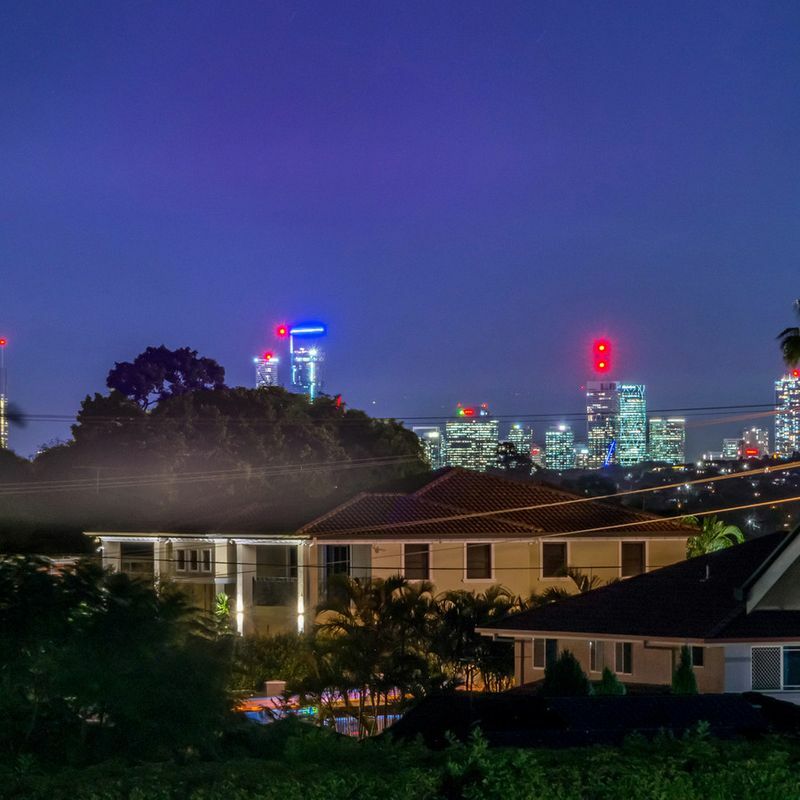 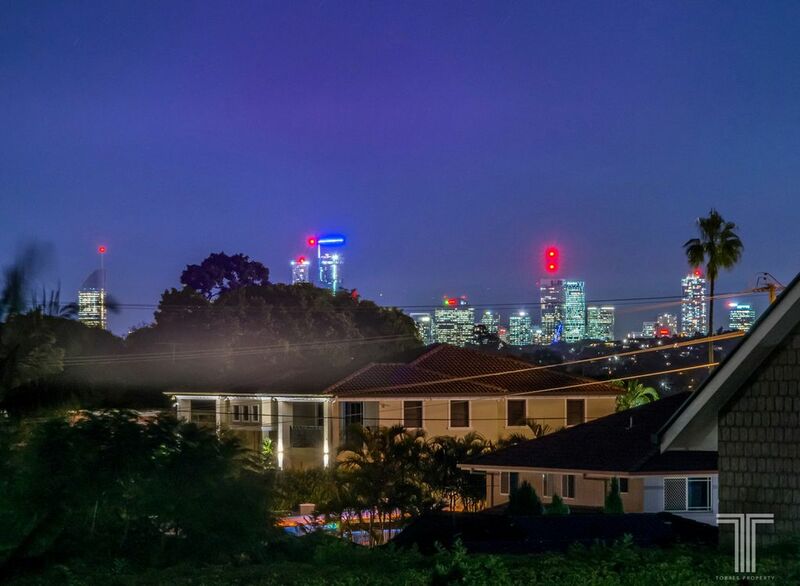 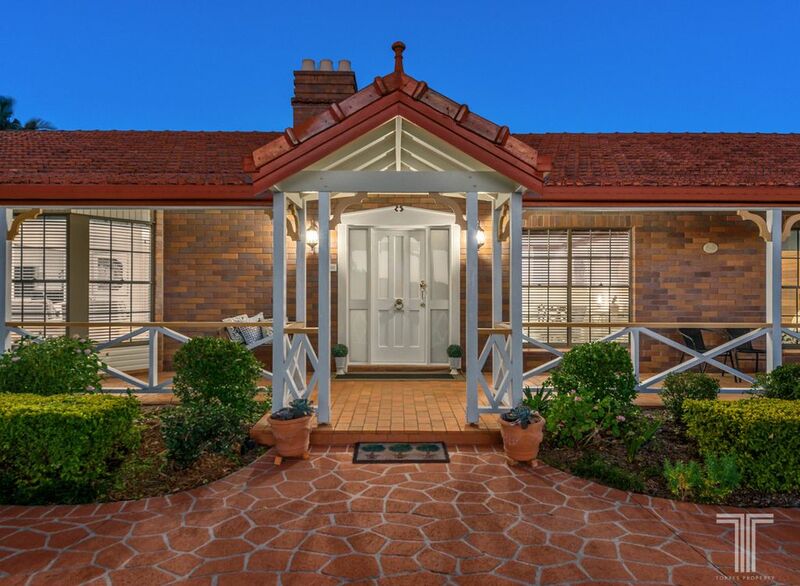 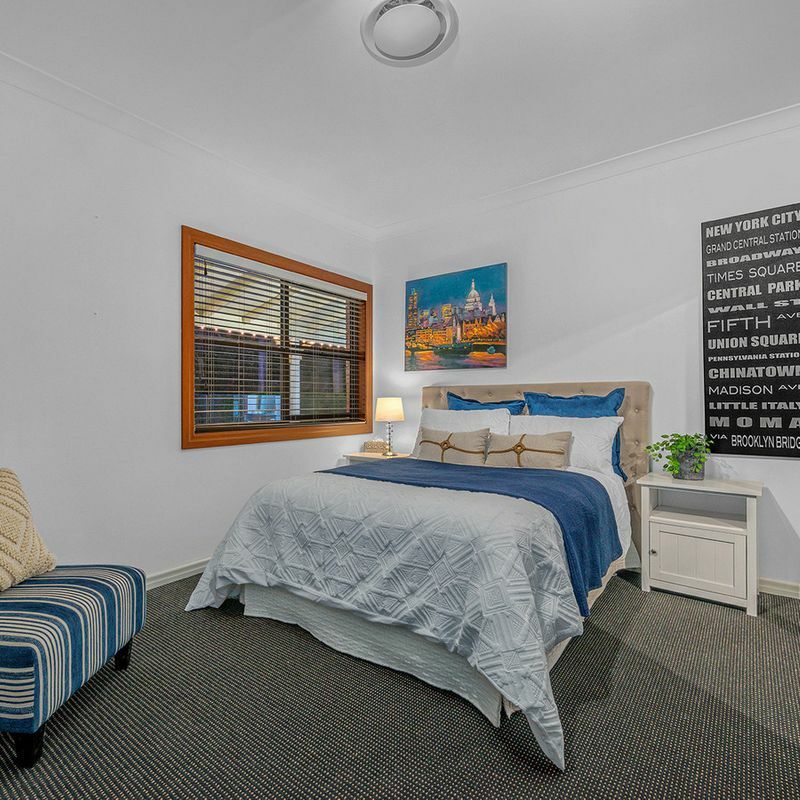 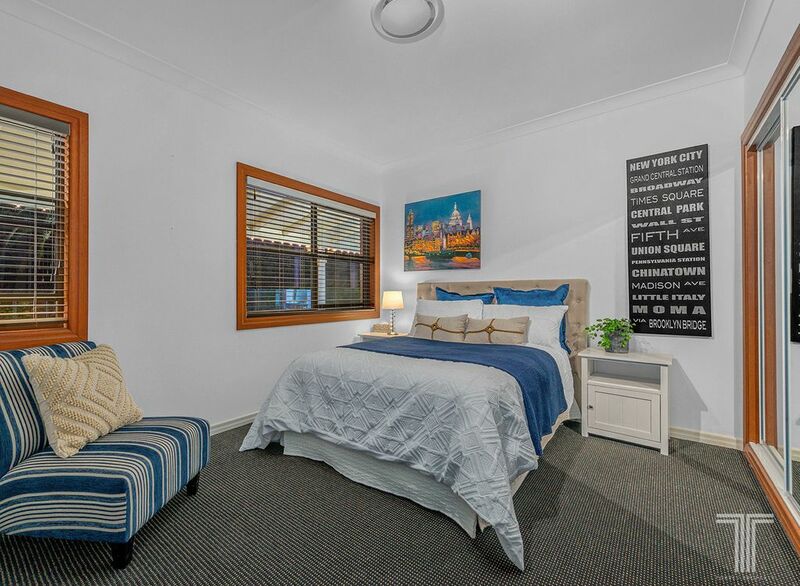 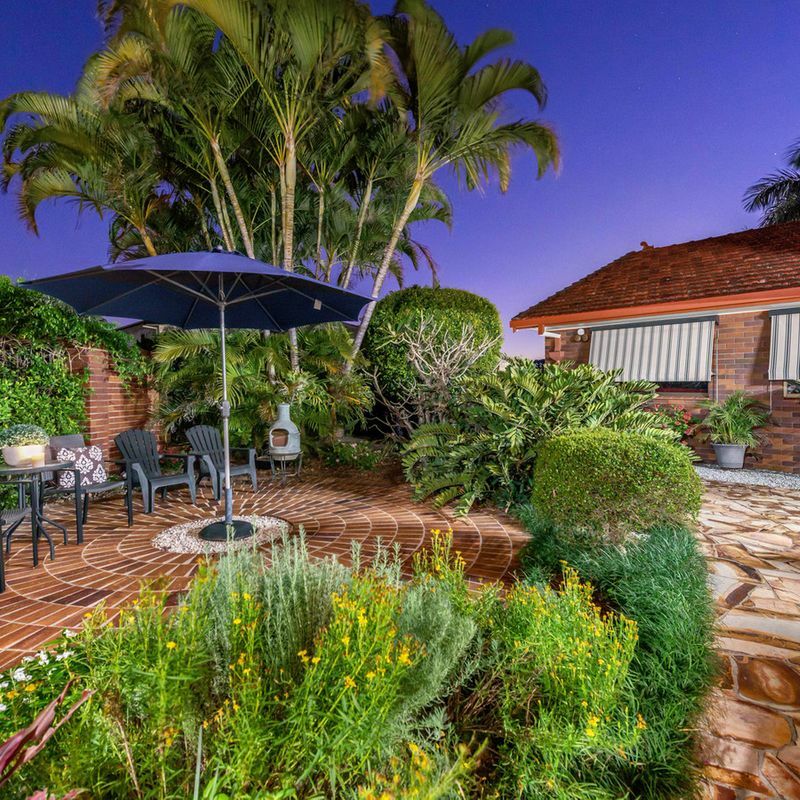 Close to buses, Westfield Carindale and only minutes to the Gateway Motorway, you will love the lifestyle of this scenic locale.